ZANESVILLE, Ohio- There’s a new hotel in town, but it’s only for our four-legged friends. The Winston Pet Hotel will be opening on April 1st. Owner, Joan Batstra, said she’s always been an animal lover and decided to open her own business after hearing that the Zanesville area was in need of a pet boarding facility. “I’ve been an avid dog lover [and] pet lover throughout my life and I just kept hearing that people needed this service in the area and there was nowhere to take the pets. So I decided that I would look into it, see if the numbers would work for me, and it just kind of all fell together,” said Batstra. The hotel will offer dog and cat boarding, ‘doggie’ bubble baths, as well as ‘doggie’ flea baths. The pups will also be able to get their exercise in with a 1,500 square foot yard. Batstra said her main goal is to make her facility a home away from home. “My dogs are more comfortable around home-y stuff,” said Batstra. 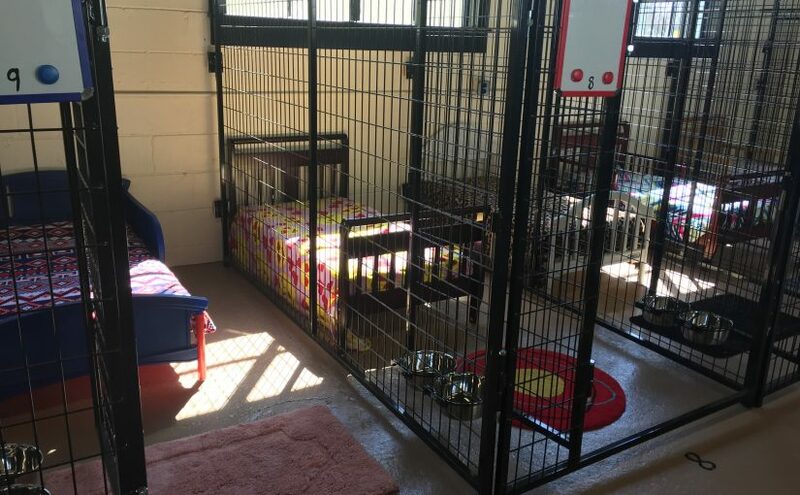 “I hope to just make them comfortable because that’s the biggest thing about going in a kennel is it’s so stark and just cold so I’m hoping that the animals will be real comfortable coming in here,” said Batstra. The hotel features couches, TV’s and individuals little beds in each kennel. The pricing will be based on the kennels, not the dogs or size. For full pricing and more information visit http://www.thewinstonpethotel.com.